Overall, I thought that the movie was a great adaptation of the book. I think the the producers and writers did a good job at including the most important, though some were only brushed over. Also, we should take into account that this is a movie and that it must fit into a specific time frame. Adding to many scenes would render the movie to be tedious. I thought that Jennifer Lawrence was an excellent choice for Katniss. She was poised and was able to portray Katniss's emotions fairly well, given that we did not hear any of her thoughts. As for the extra scene of the riot in District 11, I thought that this introduced to us a little of what the next movie/book was going to include. I also agree with you that I was dissatisfied with the movie's ending. I would have like to see how Peeta reacted when he realized that Katniss revealed to him that she did not love as he did. I really like how this article got straight into the differences and brought insight into these changes. The one I was most curious about was the riot that occurred in District 11, I really liked that they incorporated this and left an idea planted in the audience that they can come back to and develop in the sequel. Another interesting difference, was the scenes with Seneca and President Snow, it showed President Snow's personality and opened up the discussion for future issues to arise within Panem. These scenes also led up to the scene at the end where Seneca is forced to kill himself with the Nightlock Berries, which essentially tell the audience that President Snow is not afraid to take anyone out, even someone close to him. Overall, I feel like all of the changes from the book to the movie were relatively minor. Only very minor subplots were changed, the physical appearance of Katniss was lightly shifted, and logical details not in the book were added. Personally, some of the added scenes of the gamemakers were my favorite. The details are not in the book because the book is from Katniss's point of view. She couldn't know what was happening. Movies are usually more omniscient. We can't hear her thoughts so why should we only know where she is? The game makers give added detail and insight into the people who make this really happen. 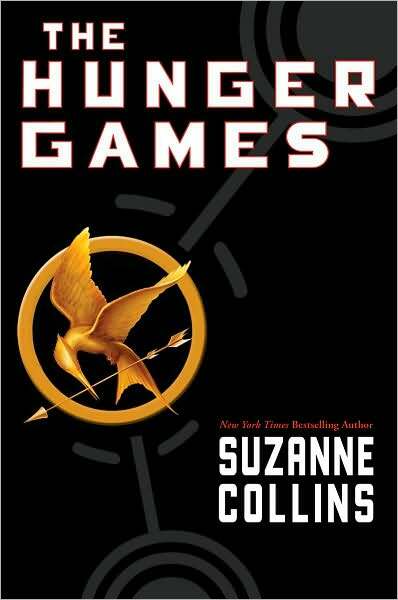 The movie makes Seneca Crane an interesting character who is not really analyzed in the books. I also though the changes made were small and, if anything, helped a lot more than not. One particular scene that you didn't mention that was added to the movie was the scene where two children from the Capitol were playing with swords and one child playfully stabbed the other and she playfully died. I thought this scene was particularly interesting because it showed a little bit of insight of the culture in the Capitol. This goes to show just how desensitized the people and children of the Capitol are desensitized to violence and death. In many aspects, this relates to society today and how children are continually spending longer hours in front of the television and becoming more and more desensitized to violence. One other change that's worth noting: Katniss getting the mockingjay pin for free from Greasy Sae's random nicknacks box, rather than receiving it from the mayor's daughter Madge (who, like the Avox girl, was completely written out of the film) before leaving for the Games. It's not a huge change, but it does derail Katniss' character a bit. In the book, she knows that for someone who's struggling to put food on the table, the pin is an unattainable luxury item -- an "if you have to ask the price, you can't afford it" situation. So it was a little jarring to see Film!Katniss showing an interest in an otherwise-useless decorative item, as it makes her seem overly vain/materialistic/stereotypically "girly" compared to Book!Katniss. However, moviegoers who haven't read the book are unlikely to see anything amiss here, so it's not a devastating deviation.